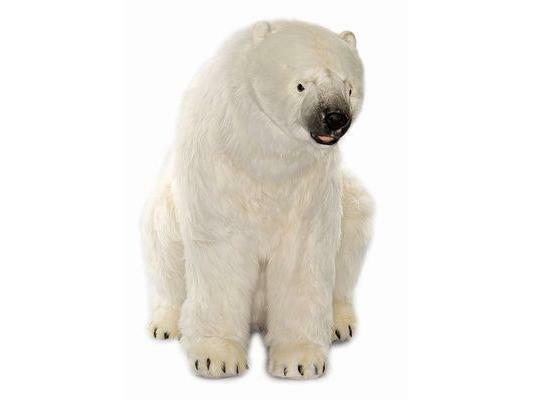 This wonderfully realistic plush Polar Bear Mama measures approximately 34.25 inches long, 17 inches wide, and 18 inches high, and has a hang tag that contains info about where they live, how they raise their young, what they eat, their habitat, and history. This item ships directly from HANSA and is usually in stock. Out of stock items may take 90 to 120 days to create since this is a large, handmade plush animal. Shipping within 48 states only (Sorry, no shipments to Hawaii, Alaska, or outside the USA).